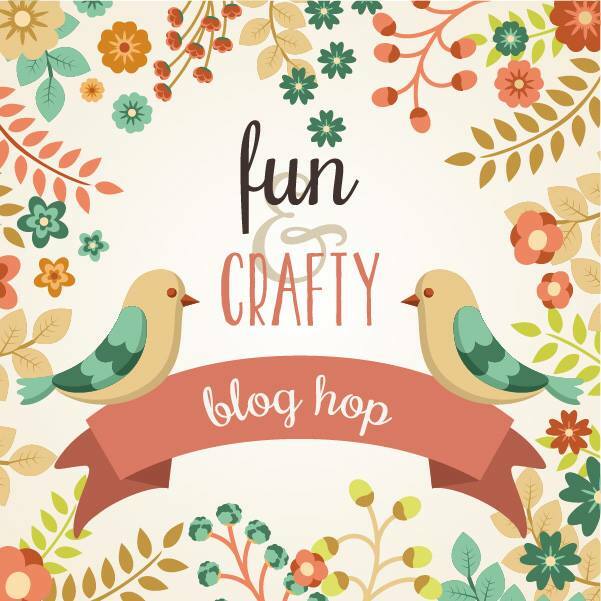 Welcome to the Fun n’ Crafty Blog Hop for June. This month's blog hop is actually a swap. Various members of the Fun and Crafty Stampers made cards featuring new products from the Annual Catalog and swapped them in the mail. Such amazing cards! I love doing swaps and getting examples using products that I don't have or don't necessarily intend to buy. For my card, I wanted to feature my newest stamp set, Pop of Petals. I love a good floral image and this one is too cute! The set comes with multiple differently patterned flowers, but I just used one pattern for my card. I picked a few fun colors and coordinated them with a lighter or darker color. From there, I thought the flowers looked a little too plain so I added a background piece of stamped leaves. Much better! I finished the card off with a piece of Wood Texture DSP, a simple sentiment, and some fun Glitter Enamel Dots.